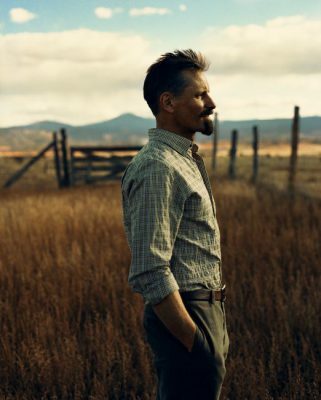 Viggo Mortensen is featured on the cover of the March 2008 issue of Men’s Vogue. It’s out in New York and LA this week and nationwide next week. The article and magazine cover feature photos by Norman Jean Roy. Read the article.